Nurses at a facility. Proper health care is as much a function of attitude as the actual medication. Net picture. KAMPALA-Civil Society Organisations have identified poor attitude of health professionals as a key factor contributing to abuse of patients’ rights in Uganda. A training on health leadership capabilities conducted August 23 for sector members noted that continued discrimination and stigmatsation of patients by care givers reveals a lack of awareness about patients’ rights. The executive director of Uganda Alliance of Patients’ Organisations [UAPO] Joshua Wamboga, said Ill health is a point of extreme vulnerability for everyone because your life is at stake and that it is very easy to go along with any treatment option offered — if only to stay alive or be rid of the pain. “And for that reason, health care providers tend to have the upper hand in influencing decisions, which may inadvertently be abused even with the best of intentions without the consent of the patient,” said Wamboga said at Theta conference hall in Kamwokya. The UAPO wants patients to be involved and engaged in research and development of programmes for improved access to quality health care in the country. The organisation promotes health literacy, healthy lifestyles, patient safety, and advocates for access to preventative services and quality treatments and the safe use of medicines. Wamboga explained that patients frequently face significant delays before they can access the life-saving medicines they need. This, he pointed out, runs the risk of patients being offered unregulated and unsafe options. Participants [majority of whom were patients] at the meeting asked patients at all levels to boldly speak out on abuses meted out to them if they are to get efficient and quality health service care. The chairperson of the National Forum for People Living with HIV/Aids Networks in Uganda Molly Rwankore said the rate at which doctors and hospitals are being accused of negligence due to ignorance of patients “legal rights is alarming”. “There are many patients who are neglected, denied treatment or admission on grounds that he/she cannot raise the admission fee or medical fee and these people usually die, I think there is need for medical workers to be sensitised on rights of patients,” she said. Rwankore cited the story carried in one of the dailies about a cancer patient who recently died after being abandoned by medics for 60 hours dies in the hospital compound at Uganda Cancer Institute. Health workers reportedly failed to admit or treat this patient, it was reported. “This was an abuse of the patient’s right to emergency medical treatment and the hospital should be held accountable for denying a man treatment,” Rwankore observed. She explained that there were numerous challenges affecting healthcare delivery in Uganda, which needed timely interventions, adding that Uganda was yet to comply with the Abuja Declaration of April 2001 on African government’s committing at least 15 % of their national budgets to public health care. Prof Graham Dickson [Royal roads University, Canada] said after patient confidentiality, informed consent is the second most important patient rights but that only handful of patients know about it. He explained that informed consent is enshrined in the Patient Rights Charter yet it is poorly appreciated. Informed consent is built upon seven key health care tenets that cannot be divorced from each other. 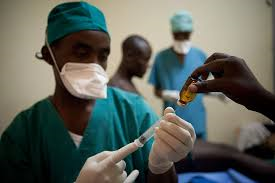 In 2009, the government published the Patients Charter which was a result of a joint effort by Ministry of Health and Civil Society Organisations led by the Uganda National Health Consumers Organisation. -Right to access health care. Every person should be able to access promotive, preventive, curative, reproductive, rehabilitative and palliative care without straining.